- YA YA was originally known as THE LEA HART BAND and founded by their namesake who had been frontman for THE ROLL UPS. As a solo artist previous to that, Hart had supported JUDAS PRIEST on their 1978 British tour. 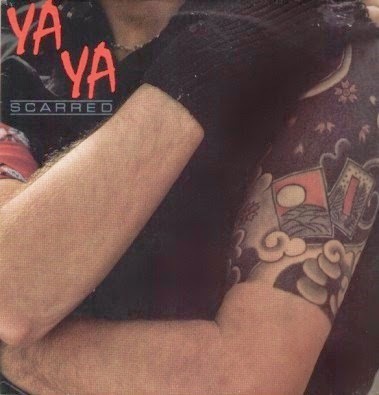 YA YA, completed by guitarist Ray Callcut and ex-PANACHE members bassist Terry Stevens and drummer Graham Garrett, was born after THE LEA HART BAND opted for a name change following a tour of India and the far east. The band signed to North American label Scotti Bros. The debut sees session appearances from JOAN JETT bassist Jeff Peters and noted keyboard player Nick Coler. YAYA scored a major coup by having three songs included on the film soundtrack to 'Revenge Of The Nerds'.A 7" single, featuring YA UYA's 'Don't Talk', was paired as a split release on Scotti Bros. with REVENGE's 'They're So Incredible', produced by Lea Hart, in 1984. Progress was such that Warner Bros. snapped up the band but not before Hart was fired for apparently "being too Rock n' Roll". Hart subsequently formed the short-lived DESTROYER in 1988 with ex-TANK guitarist Cliff Evans, then fronted FASTWAY before finding a career as a successful producer and manager of PAUL DIANNO. A second album did finally emerge, with ex-SAMSON vocalist Sam Blewitt, but was withdrawn almost immediately and so is very scarce. Calcutt is now a renowned session player as well as forming part of the notorious ad hoc live band LEND US A QUID alongside FOREIGNER and BAD COMPANY bassist Rick Wills and BAD COMPANY guitarist Dave Colwell.